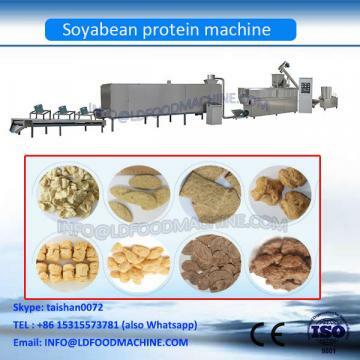 The production line uses low-temperature soybean,isolated soy protein,wheat gluten etc as raw material.It not only can produce textured protein food with some intensity and tenacity.but also can produce fibre protein with higher intensity and higher tenacity with various shapes and sizes,such as:cylinder,chunck,sheet,strips,pellets etc.The production technology makes it to be possible to produce high textures/fibre protein. free engineering drawing for the factory layout. 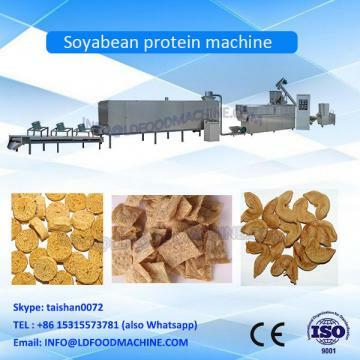 Dejiu supplies the installation and training. 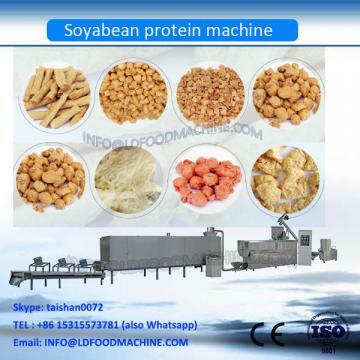 The buyer only need to provide air tickets, accommodation (Contains local eating,living and transportation) and daily saHot sale Soybean bean protein/Soya meat making machinery for our engineers during the installation period.